Hot Springs: Spiritual Oasis Or New-Age Pick Up Spot? Soaking in healing waters may include some unbargained-for advances. Last week, I went to get a massage after having pulled something in my neck (still not sure what) while practicing a new dance routine. Ah yes, Harbin Hot Springs. Located in the mountains of Northern California about an hour north of Napa wine country, Harbin is thought of by some as a healing center for the body and soul. Others think of it as more of a seedy pick-up joint, or at the very least, a place one is likely to get molested. I have personally never had a problem the dozen or so times I’ve been there, but know plenty of people that have, including a male friend. Harbin is a bit different than many hot spring getaways, since it also acts as a retreat center and boasts a community of free-spirited people that live there. Natural hot springs are often located in areas long considered by the indigenous peoples native to the local area as holy and sacred ground…Native American tribes treated (and still do) sacred hot springs and the surrounding land with deep respect, emotionally, spiritually and physically. 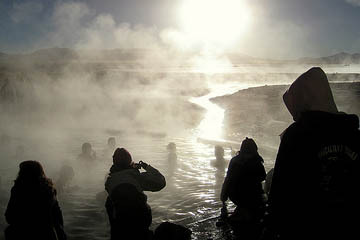 Exquisite natural setting and incredible hot springs that bring in some of the most sexiest people I’ve seen. I am so into the drama-free affection of FWB (friend with benefits) and this is the perfect setting for some time for getting away from your day-to-day. Skiing misconception: There must be loads of “ski bunnies” and snowboard chicks that’re ripe for the meetin’! Hotspringing misconception: You’re in a beautiful location with little (if any) clothes on, so free-loving hippy chicks must be plentiful! The retort to both is a big, fat WRONG. Both are mostly populated by single straight males who only go to enjoy the experience, and (in general) the few females that do show up are almost always with their male significant other. For locations of hot springs all over the world, check out 10 Countries Where You Can Enjoy Hot Springs, and learn how to take a proper Chinese soak in GuiJu: Rules of the Traditional Chinese Hot Spring Baths. Do you think hot springs have become a haven for the seedy or for the most part, still maintain their sacred, spiritual roots? Share your thoughts below.